"Very funky! 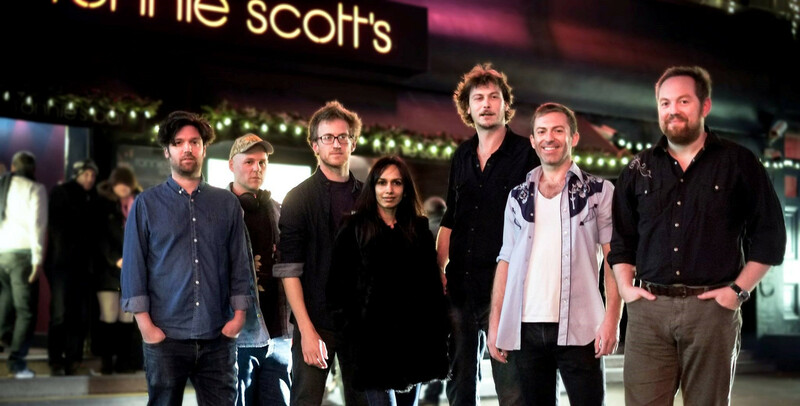 Great horns, and the groove has a deep pocket"
The band features the brilliant singer Tommy Hare who has been burning a bright trail in the UK blues scene over the last few years. Sumudu has worked with the likes of Rod Stewart, Jamie Cullum, and most recently the iconic singer/songwriter Van Morrison has put her at the forefront of the UK female vocal scene. The rest of the band is equally as impressive. Drummer / bandleader Pat Levett has played with Tim Minchin, Tom Jones, Amy Winehouse Zigaboo Modeliste (The Meters) and the Ronnie Scott's All Stars, Vocalist / pianist Arthur Lea, includes work with the likes of Bootleg Brass and Soweto Kinch on a massive and eclectic cv. Saxophonist Ben Somers has performed with Dr John, Seal and Taylor Swift, guitarist Rob Updegraff has recently been performing and recording with Sony artist Alani and can be heard on Jamie Cullum’s latest album alongside Gregory Porter and Laura Mvula, bass player Spencer Brown has performed with the likes of Andy Sheppard, Alan Barnes, Rebecca Ferguson and indie star Carl Barat.